For some reason this mech by SPECTRE reminds me of a shop class teacher I had in middle school. You know the type, preaching about safety and pointing at you with his three remaining figures. 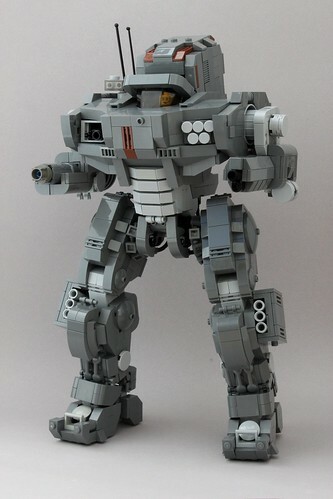 As far as mechs go, this thing is pretty beefy. It looks like it means business.